The 2012 CyberSec conference on cyber security was held in Israel, in the midst of the cyber war between pro-Arab and pro-Israeli hackers. CyberSec 2012: The International Conference on Cyber Security, Cyber Warfare and Digital Forensic was held on Sunday at the Avenue Convention Center in Israel’s Airport City. Arutz Sheva was there. 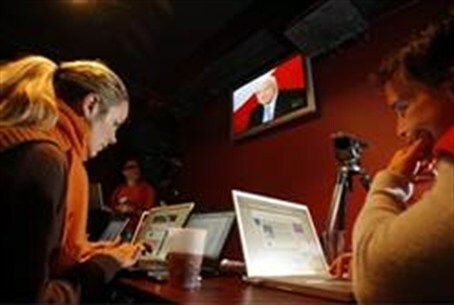 The conference was held as Israel is in the midst of what appears to some to be a hacking war. In the past few weeks, several Israeli sites have been attacked by hackers, while pro-Israel hackers have launched counterattacks on Arab websites. Referring to the ongoing “cyber war”, Erez Metula of AppSec Labs explained that things have changed in recent years and that, nowadays, everything is based on computers, meaning that people can attack as many sites as they want while simply relaxing at home over a cup of coffee. Metula predicted that the attacks will eventually be more dangerous than they are at the present time. Shay Zalalichin of the Comsec company said that the issue is not how Israel should respond, because it is impossible to know exactly from which country the attacks are coming from. He said that Israel should respond by defending itself against such attacks. “The main issue is to make sure that you’re defending yourself properly and that you’re providing an environment, or at least instructions and awareness to other organizations to make sure that everybody is well aware of the attacks and is getting the protection they need,” he said. Metula added that education is the first step, and his company works at this level by training developers on writing secure codes.